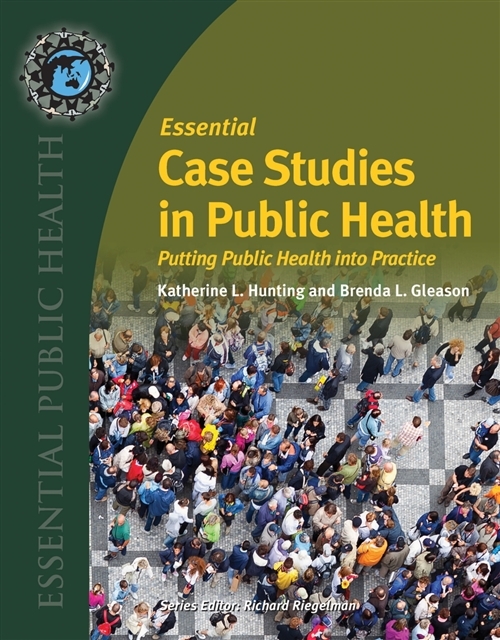 Essential Case Studies in Public Health: Putting Public Health into Practice is a unique compilation of twenty-one cases based on real life events and problems. Written by over forty public health faculty members and practitioners, these cases vividly illustrate how professionals across various disciplines tackle public health challenges. Covering a wide range of topics and issues from HPV vaccines as school entry requirements to implementing community-based water systems in rural Honduran communities to a mumps epidemic in Iowa, this text helps students apply a wide range of knowledge and skills relevant to public health outbreak investigation, policy analysis, regulatory decision-making and more. Suitable as a stand-alone text or as an adjunct to any introductory public health text, this collection of engaging case studies provides students with the opportunity to synthesize and apply each of the five components of the Public Health 101 curriculum framework: the public health approach; tools of population health; disease: determinants, impacts, and interventions; healthcare and public health systems; and special areas of public health focus. Selected cases can be readily applied to courses across the curriculum.